The Book of Jeremiah is largely a biographical story of one of God’s prophets, though the messages that can be found in the text have been carried throughout generations. This is a topic suggestion on Books of the Bible: Jeremiah from Paper Masters. Use this topic or order a custom research paper, written exactly how you need it to be. The Book of Jeremiah is largely a biographical story of one of God’s prophets, though the messages that can be found in the text have been carried throughout generations. The book itself can be broken down into approximately six sections, each of which serves a purpose for the message of the story as a whole. 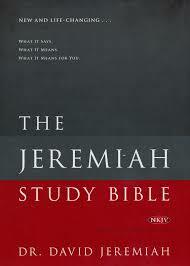 The bulk of the text comes in Jeremiah’s core moral lesson, found in the first 25 chapters of the book. Here, he describes the importance of being dedicated to God, for only He can deliver people from the harms and struggles of the world. He speaks of false prophets that claim to bring the word of God, describing the eternal punishment that will come to them as well as the individuals that follow them. He also describes the various punishments that will befall various kingdoms, including that of Judah, if they do not accept God as their own and follow His teachings as described. Later in the book, Jeremiah tells of God’s forgiving nature, a key tenet in Christianity. He speaks of God’s willingness to restore the souls of mankind, erasing the sins that have befallen them and forgiving them of their mistakes. He implores the reader to do as the Israelites have done: dedicate themselves and their faith to God, for it is through Him that salvation can be achieved. This concept of salvation can come in the physical sense, as in the case of the repeated survival of the Israelites despite seemingly insurmountable odds, or in the spiritual sense, as in the case of the promise of salvation for those who believe in God. Jeremiah, like other prophets, warns readers of the consequences of their inaction, pointing to the harsh punishments that befell kingdoms surrounding Israel as well as their inhabitants. Jeremiah is representative of man’s confession of mistakes, his acceptance of God’s teachings, and his ability to be forgiven. Amos - In the Bible, there are numerous books that are dedicated to telling the stories of prophets of God. One such book is the Book of Amos, though he is considered to be a lesser prophet. Daniel - The Book of Daniel is another book of the Old Testament that documents the various trials that members of the Jewish faith are forced to endure at the hands of nonbelievers, this time focusing on the titular individual. Deuteronomy - Deuteronomy is the fifth book of the Jewish Torah and the Christian Bible. It is the final book of the Pentateuch, a term used to described the books of the Bible attributed to Moses. Ecclesiastes - In the Bible, the Book of Ecclesiastes has some of the most profound lessons on true human nature to be found. Exodus - The book of Exodus is the retelling of the Jews’ coming into Egypt as guests of Joseph to their flight to freedom from slavery, led by Moses under the direction of God, called Yahweh by the Jews. Ezekiel - In the Old Testament, the Book of Ezekiel recounts the visions received by the prophet during his exile in Babylon. Hosea - The Book of Hosea chronicles the adult life of a Jewish prophet during a turbulent time in Israel’s history. Isaiah - The Book of Isaiah is probably one of the most cyclical books in the Bible, as it describes the consequences for a society that does not respect the power and authority of God as well as the prosperity and success that will come to a kingdom that does. Job - The book of Job in the Bible does not have a specific author named, however it is believed that either Job himself, Elihu, Moses or Solomon wrote it. Joel - In the Bible, the Book of Joel is a short account of the punishments that can be brought against those who do not have faith in God, and the benefits that can be given to those that do. Jonah - In the Bible, one of the most famous tales of the Old Testament is that of Jonah and the whale. Joshua - Traditionally, the Book of Joshua, the sixth book of the Bible, is the first of the “historical books” of the Bible. Judges - In the Christian Bible, the Book of Judges provides insight into exactly what the title states: individuals who served as judges during Biblical times. Lamentations - Of all the books in the Bible, that of Lamentations provides the greatest insight into the struggles true believers in God will face, and the promise of salvation that He offers. Leviticus - Leviticus is the third book of the Old Testament or, as known by the Hebrews, the Pentateuch. The Hebrews, connecting it to the second book of the Bible, knows this book as “Va-yakra”, and He called, Exodus. Numbers - The Book of Numbers details the time from the Exodus of God’s people from Egypt when they wandered in the desert for a period of thirty-eight years as they were being prepared to enter the Promised Land. Obadiah - The Book of Obadiah is the shortest book in the Old Testament, yet the messages it contain are just as profound as the longest of books. Proverbs - The Book of Proverbs, much like the Book of Psalms, provides various opportunities for learning for members of the Christian and Hebrew faiths. Psalms - As one of the most eloquent books of the Bible, the Book of Psalms contains 150 poems, representing the entire range of religious behaviors that one should embody in order to effectively practice their faith. Ruth - The Book of Ruth is one of the few books in the Christian Bible that is dedicated to the story of a female character. Samuel - The Book of Samuel, which was written about 960 B.C., was later separated into Book 1 and Book 2, and continues thus to this day. Song of Solomon - Song of Solomon research papers discuss two of the characters in Song of Solomon. Paper Masters writes custom research papers on The Book of Jeremiah and explain the largely a biographical story of one of God’s prophets, though the messages that can be found in the text have been carried throughout generations.